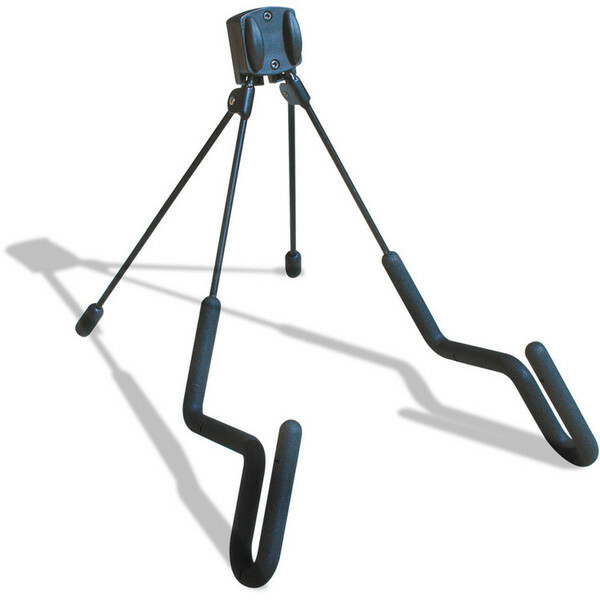 This Acoustic Guitar Stand from Quiklok has a low "A" frame build and is compact and portable due to its folding design and light weight build. The cradles on this Quiklok GS435 acoustic guitar stand are covered in a special injection-moulded, soft rubber which means the guitar rests firmly in place without slipping. This ultra portable guitar stand will fit in most guitar pouches for easy transportation.